Fall--in all her rustling leaves, crisp morning air, and warm, inviting aromas and flavors-- is really like a familiar friend. She's a welcomed friend, one you hope will come over early and stay long over a a warm cup of cider, or a bowl of steamy harvest soup. Serve her this one. I created this recipe by following my cravings...and you simply can't argue with a pregnant woman's cravings. Enjoy! 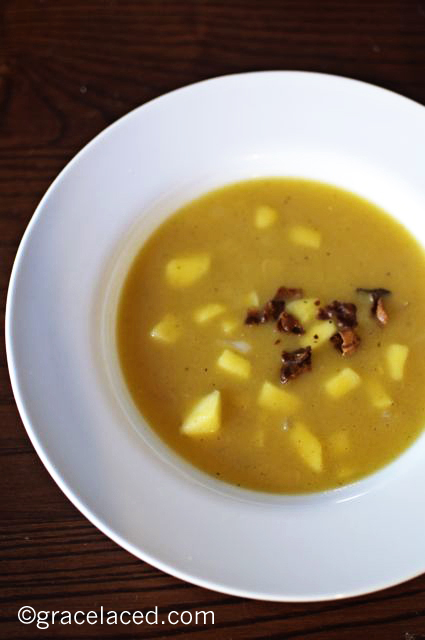 The perfect slightly sweet and savory soup showcasing autumn flavors. Preheat oven to 400F. Line a cookie sheet with foil, and spray with cooking oil spray. Cut acorn squash lengthwise and remove seeds and fibers. Place cut side down onto prepared cookie sheet. 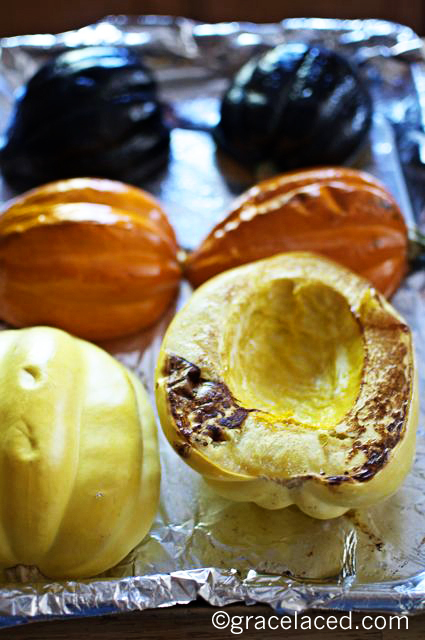 Roast squash for 30-40 minutes, or until flesh and outer skin is soft and just carmelized. 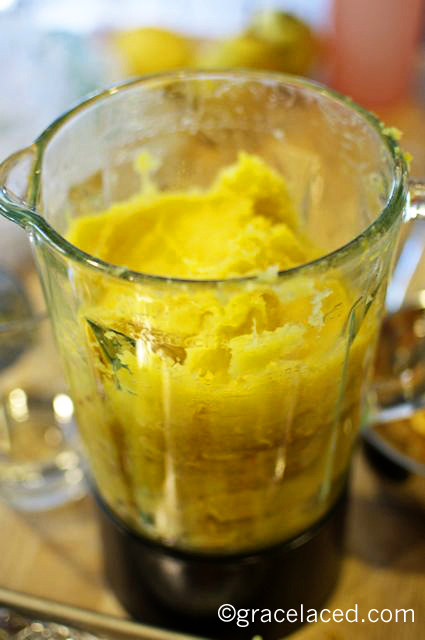 When squash is roasted, carefully scoop out flesh and place in a blender and puree. 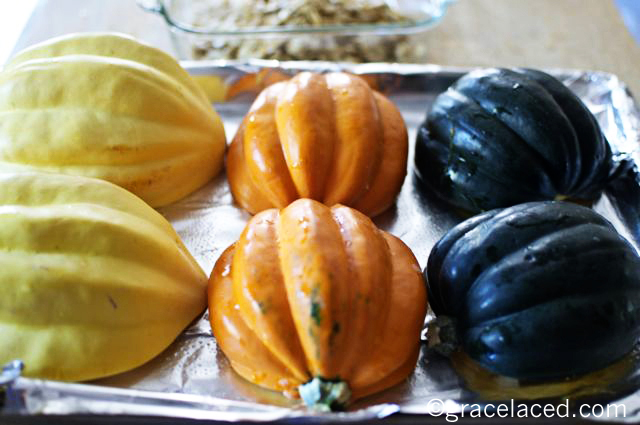 You should have about 4-5 cups pureed acorn squash. Set aside. In a large heavy-bottomed pot, cook bacon on medium high heat until crisp. Remove bacon with a slotted spoon and set aside. Add diced onion and apples to the bacon fat in the pot. 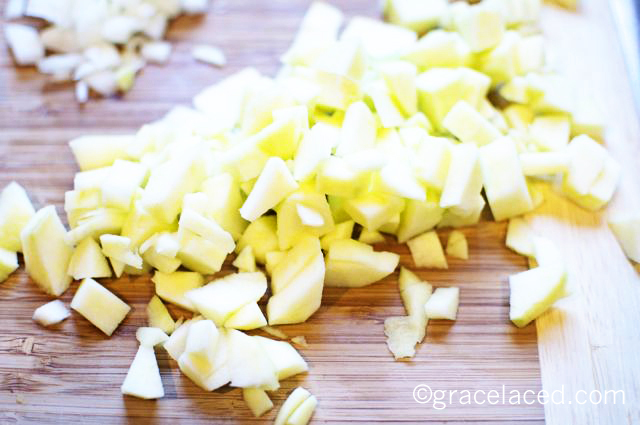 Stir and cook on medium high heat until onions are translucent and apples are tender. 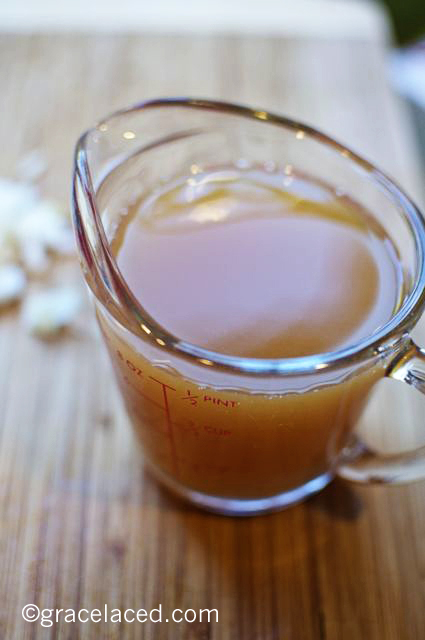 Add pureed acorn squash, chicken stock, and apple cider. Stir gently until combined. Add spices, and salt to taste. Simmer on medium heat for 5-10 minutes, or until well incorporated and heated thoroughly. 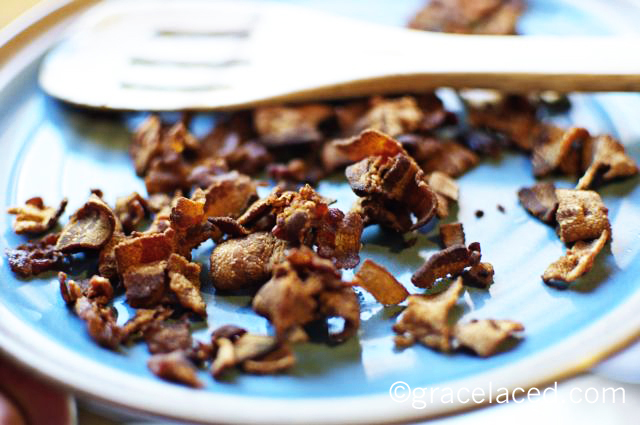 Serve hot soup with a sprinkling of reserved bacon and plenty of cracked pepper.